Solar Lights & More, a state certified solar contractor in Ocala, Florida, specializes in quality, high tech, and energy efficient solar products. 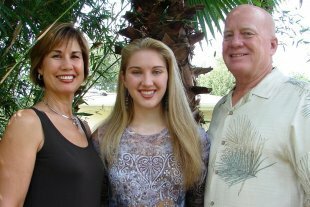 Kathy and Kevin McMonigle, owners of Solar Lights & More, have been selling and installing solar products in North Central Florida since 1996. They encourage people with an interest about what solar energy can do for them to call and educate themselves. It is common to hear people say “it would cost a fortune to get off the grid” but being “off the grid” is really not the goal. 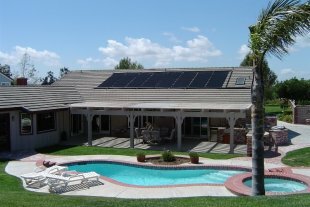 You can reduce your electric bill by adding solar products gradually as your budget allows. This year you may install a solar hot water heater and an attic fan which would reduce your electric bill by over 30 percent. The addition of more products will continue to reduce your electric bill by 75 percent and more. Solar Lights & More understands that you are looking for affordable, sustainable, and responsible approaches to securing safe and reliable solar energy with expertise and premier products from energy technology leaders who provide high value and deliver real solutions. Solar Lights & More also has knowledge of state and federal incentive programs and provides customized energy solutions for your home and business with foremost solar technology products to meet your unique needs. For more information and a complimentary solar evaluation and consultation, we encourage you to give Solar Lights & More a call and give them the opportunity to provide you with the information and knowledge that you need to make a wise choice in bringing solar energy into your life as a clean, green energy savings investment while leaving the world a “better place” for your grandchildren and their children. What a great legacy that would be! Certified Energy Rater since 1997 by the State of Florida.